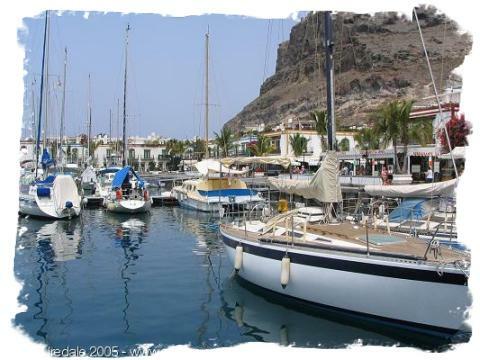 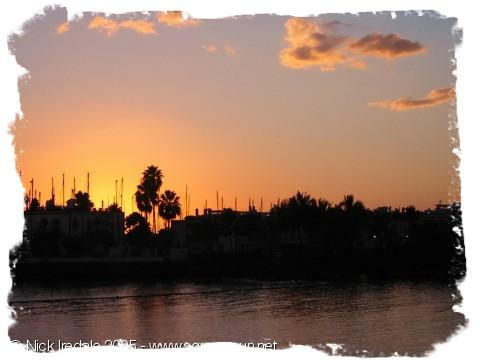 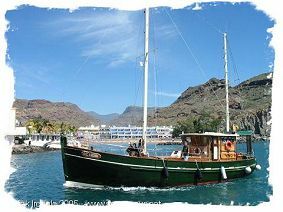 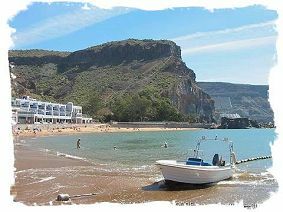 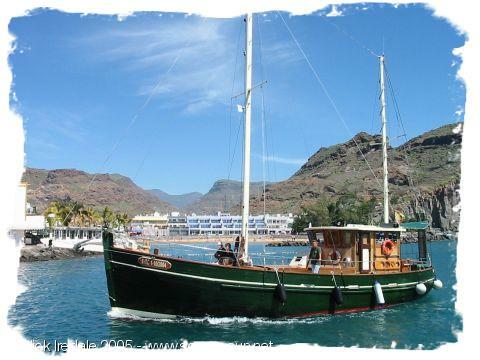 Puerto de Mogán is the most picturesque resort on the island of Gran Canaria, with two-storey apartment buildings built around a marina and fishing harbour. 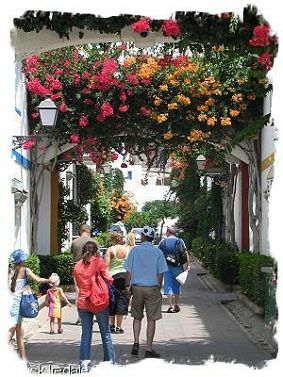 The roof terraces and gardens are bursting with bougainvillea, palm trees, bird-of-paradise flowers, hibiscus and other gloriously colourful plants. 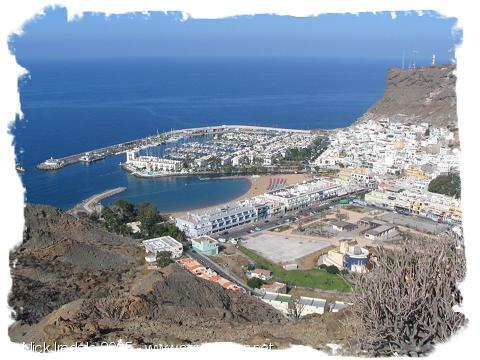 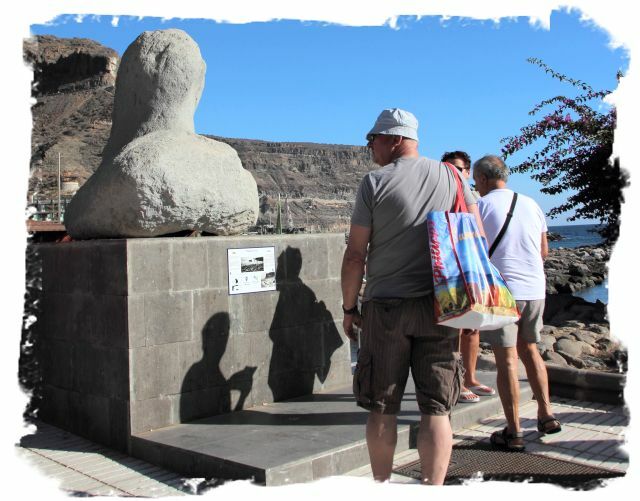 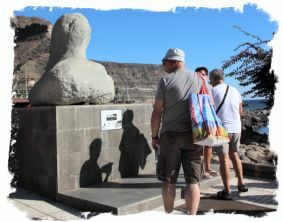 Across the road from the resort, which is where the beach once was, the old village of Playa de Mogán ascends the cliff, a labyrinth of narrow passages and stairways, one of which leads to the Mirador with its view over the beach, houses, harbour and the sea beyond. 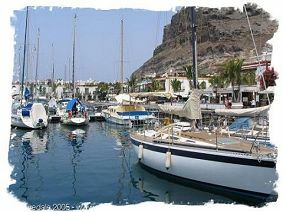 At the far end of the marina is the fishing harbour and the boatyard. 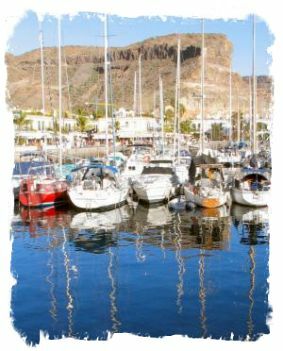 Sitting at the quayside restaurant run by the Fishermen's Guild, the Cofradía de Pescadores, you can watch the catch being landed from the brightly coloured fishing boats. Across the "barranco" the beach of imported golden sand is sheltered from the ocean by a rocky breakwater, providing calm water for swimming. Restaurants and shops with apartments above them line the promenade and extend up the valley from the beach.